As the 19th century drew to a close, and for the first time in history, Canadian volunteer forces were fighting side by side with men of the British army and other parts of the Empire in the South African Boer War. Meanwhile, Margaret Poison Murray, wife of McGill University professor Dr. Clarke Murray, envisioned a support role for patriotic women to assist troops overseas. On February 13, 1900, 15 women met at a hotel in Montreal to draw up a constitution for the organization that would become IODE. The first two junior chapters were formed in 1900 in Quebec City, Baden Powell Chapter, later a primary chapter, and Albert the Good. The Municipal Chapter of Montreal was formed in 1910 followed by the municipal chapters of Quebec and Sherbrooke. At the February 1919 National Annual Meeting in Montreal, the Quebec primary chapters presented Mrs. Murray with a jewelled badge. This is now the National President's badge. In 1924 The Provincial Chapter of Quebec received its Charter. Many new settlers were arriving in Canada and the work of Citizenship began. Chapter members in Quebec City met ships arriving at the docks to welcome and offer assistance. In Montreal, members greeted immigrants arriving by train. This work continued and in 1956, when refugees from the Hungarian revolution arrived, members in Quebec City set up a clothing depot and staffed it around the clock. Several members acted as interpreters and one member gave English lessons over a period of years. During the depression years of the '30s, chapters across the province held food and clothing drives and setup soup kitchens. In 1939, Canada was once more at war and IODE swung into action. Quebec chapters ran hospitality houses for service personnel, welcomed British war guests, packed food parcels for Britain, knitted and sowed garments and filled ditty bags with useful items for the armed forces. The years following the war saw IODE flourish in Quebec. Scholarships, bursaries and prizes were awarded at all school levels. Many projects were initiated: Well Baby Clinics, Darby and Joan and Golden Age clubs, country holidays for children and the Mariner's House library. Work with veterans became important and chapters provided entertainment such as bingo and dances at St. Anne's Veterans' Hospital. To celebrate Canada's centennial in 1967, IODE raised $50,000 that was divided equally among the 10 provinces. In Quebec, scholarships were given so qualified teachers could train to teach children with learning disabilities. In honour of the Provincial Chapter's 50th anniversary in 1974, money was raised to purchase hearing aids for the McKay Centre for Deaf and Disabled Children. This was the beginning of the Silence to Sound project. Proceeds from sales of the National Chapter's 75th Anniversary Rose Campaign were used to purchase an audiometer that primary chapters could borrow from the Provincial Chapter to test children's hearing. As a Provincial Chapter 60th anniversary project, a diamond pendant was raffled to provide a prize for an audiology student at the School of Communication Sciences and Disorders at McGill University. In 1986, it was decided to continue to provide Silence to Sound Scholarships to audiology students at McGill and a fund for that purpose was established. This continues to the present. To mark the International Year of the Child in 1979, The Municipal Chapter of Montreal established the Nurses' Bursary Fund so nurses from the Montreal Children's Hospital could attend seminars and conferences to update their skills. The program continues. In 1987 the Provincial Chapter adopted Baffin House, a home for Inuit patients and family members from the north who came to Montreal for medical treatment. Many did not speak French or English and found the time long, so a sewing machine with thread and material, knitting yarn, games and puzzles were provided. After Baffin House moved to Ottawa, IODE directed its attention to Nunavik House (Northern Quebec Module), a similar facility. Chapters assist Quebec and Labrador nursing stations and schools, plus local shelters, sports teams and libraries. To encourage students to stay in school, a chapter outfitted an industrial arts room. Another donates arts supplies for a children's play therapy group. 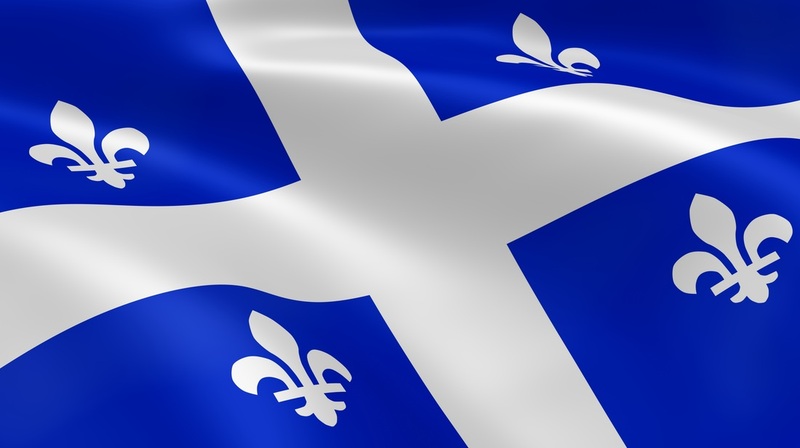 The Provincial Chapter of Quebec relinquished its Charter in 2001. The members remaining in the province continue to support IODE with enthusiasm and dedication, thereby making a difference in New Carlisle, Stanstead, Baie d'Urfe and Montreal West.